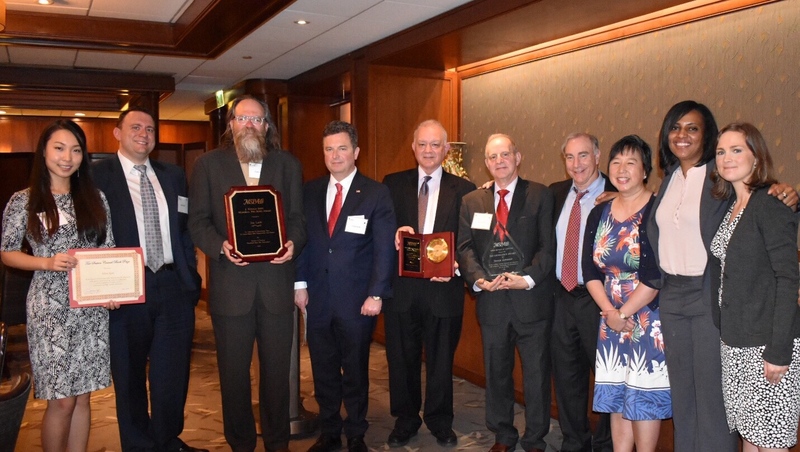 James P. Leith received the 2018 J. Ronald Shiff Memorial Pro Bono Award. Maryland Department of Budget and Management Secretary David R. Brinkley delivered the evening’s keynote address, while Section Chair Gerald W. Kelly provided opening and closing remarks. Selena Qian received the 2018 Tax Section Counsel Book Prize. The event’s namesake, the late Irving Shulbank, was a Past Section Chair and lectured and authored numerous articles in the field of tax law during his 18 years as a partner at Gordon, Feinblatt, Rothman, Hoffberger & Hollander, LLC. A Certified Public Accountant, Shulbank was also a graduate of the University of Maryland School of Law. Steven M. Gevarter received the 2018 Tax Excellence Award.